Sometimes a brewery name can trigger puzzling intrigue - especially when it is associated with a particular place and time in history for which there seems to be no logical connection. 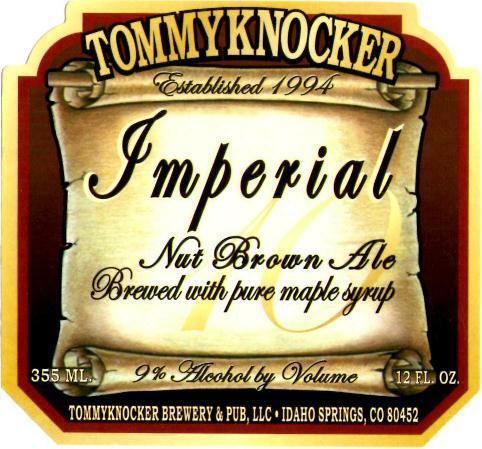 The Tommyknocker Brewery would logically be sited in the West Country, in Cornwall, as it is a reference to the mythical elven workers who, surrounded in superstition, would accompany ( sometimes positively, but at other times less so! ) the men burrowing deep beneath the tin mines below. Surprisingly perhaps this particular brewery is not even located in the South West, infact not even in Britain at all, but many thousands of miles from Cornwall in the state of Colorado in the USA ! So how did the brewery come to use a name that seemingly has no connection with that part of the world ? The link came about in the early 19th Century when Cornish miners were to experience hardship with the failure of their native tin mining industry. Recognised for their ability and experience they where actively encouraged to migrate to Western Pennsylvania by the mine owning companies for the skills they had to offer. But, there was also another motive and allure on offer that has bedevilled men in quite a different way over time that brought them here - Gold. Whilst the men worked these mines in search of the precious metal Colorado became the focal point of the Californian ' Gold Rush ' which literally made, and broke men, who sought their fortunes. The Tommyknockers obligingly accompanied the Cornish miners over the Atlantic to the New World, where their superstitions and beliefs could either prove beneficial - or wreak havoc anew ! The Colorado brewery pays homage to their memory in its name, and it was one beer in particular that caught my eye, the Imperial Nut Brown Ale. The brewery has for some time established a reputation for its Maple Nut Brown ( at 4.5% alc/vol ) which incorporates a small percentage of maple syrup in the barrel prior to bottling. So in wishing to celebrate its 10th Anniversary the brewery decided to to produce an ' Imperial ' version of the beer, which is a bigger bolder interpretation of the style. On tasting it I was struck by the smoothness of palate, and weighing in at 9% alc/vol, it is this strength that gives it a residual sweetness with a delicious roundness and depth. There was a warming defined nutty palate with both American and European hops balancing it nicely. The use of maple syrup was again used in a a subtle manner ( as with its smaller brother ! ) to avoid it becoming overpowering and cloying, which could so easily happen when using such a strong flavoured additive. All in all a very impressive brew and one which would keep the Tommyknockers tapping away merrily below ground - and definitely in a more benevolent spirit !